Zofia Hruscakova started playing basketball in Kosice and she played her first U16 European Championship in 2009, averaging 9.3 points and 6.8 rebounds per game despite being 2 years younger. In the 2010 summer, she played the U18 European Championship and averaged 5.6 points and 5 rebounds per game, being this time 3 years younger. In the 2011 summer, Zofia Hruscakova played the U16 European Championship and she averaged excellent 16.4 points and 10.4 rebounds per game. In addition, Zofia also played the U20 European Championship that summer and being still 16 years old, she averaged 7.4 rebounds per game. During the 2011/12 season, Zofia Hruscakova played with Dannax Sport Kosice and she averaged 9.2 points and 5.9 rebounds per game in Slovakian League. In the 2012 summer, Zofia Hruscakova played the U18 European Championship and she excelled with 14 points and 10.6 rebounds per game. Zofia also played the U20 European Championship and she averaged 9.9 points and 7 rebounds per game. Zofia Hruscakova played with Good Angels Kosice during the 2012/13 season and she won both the Slovakian League and Cup, averaged 8.1 points and 4.4 rebounds in League and had her Euroleague debut, reaching the Final Eight. In the 2013 summer, Zofia Hruscakova played the U20 European Championship and she averaged 9.7 points and 7.8 rebounds per game. Zofia Hruscakova won again both the Slovakian Laegue and the Cup with Kosice during the 2013/14 season and she averaged 10.8 points and 5.1 rebounds per game in League, 3.4 points and 3 rebounds per game in Euroleague and 9 points and 4.2 rebounds per game in MEL. 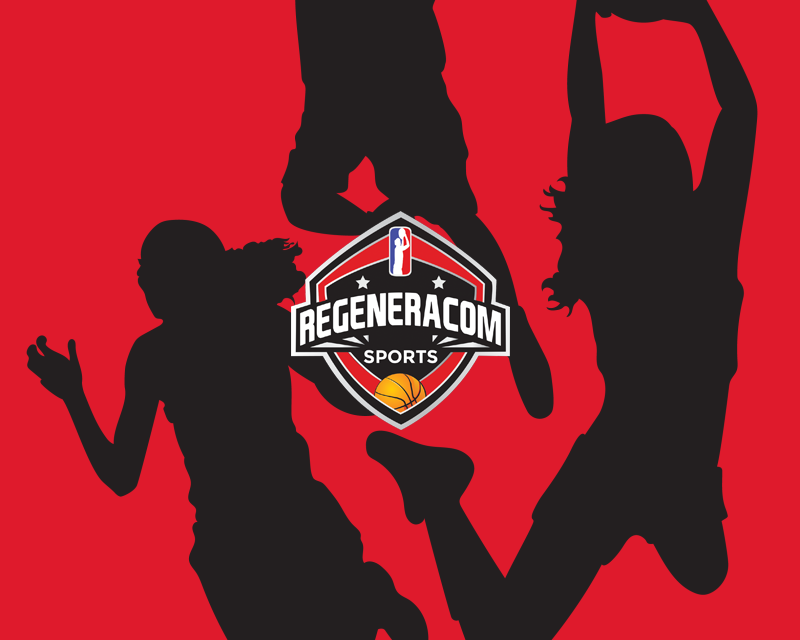 In the 2014 summer, Zofia Hruscakova was named in the First Team in the U20 European Championship played in Udine after averaging excellent 15.6 points and 7.3 rebounds per game. Zofia Hruscakova stayed in Kosice during the 2014/15 season and she won again the Slovakian League and Cup, averaging 11.1 points and 6 rebounds per game in League and 4.1 points and 3.6 rebounds in 17 minutes per game in Euroleague. In May 2015, Zofia Hruscakova was selected by the Phoenix Mercury with the 24th pick of the WNBA Draft. Zofia Hruscakova averaged 11 points and 7.2 rebounds per game in the Qualifying Round for the European Championship and 9.3 points and 5.8 rebounds in 23 minutes per game during the European Championship. Zofia Hruscakova played the 2015/16 with Kosice and she won one more time the Slovakian League and the Slovakian Cup and averaged 10.1 points and 6.1 rebounds per game in League and 5.9 points and 3.6 rebounds in 19 minutes per game in Euroleague. In the 2016/17 season, Zofia Hruscakova signed in Hungary with Uni Gyor and she averaged 9.7 points and 5.6 rebounds in 27 minutes per game in Euroleague, shining against Mersin with 18 points and 8 rebounds. In the Hungarian League, Zofia Hruscakova averaged 11.5 points and 5.6 rebounds in 23 minutes per game. Zofia Hruscakova signed in Italy with Napoli during the 2017/18 season and in the Italian League she averaged 11 points and 6.3 rebounds per game, with 54% from the field. In December 2017, Zofia Hruscakova signed with Famila Schio and she won the Italian League, averaging 8.5 points and 5.6 rebounds in 23 minutes per game. 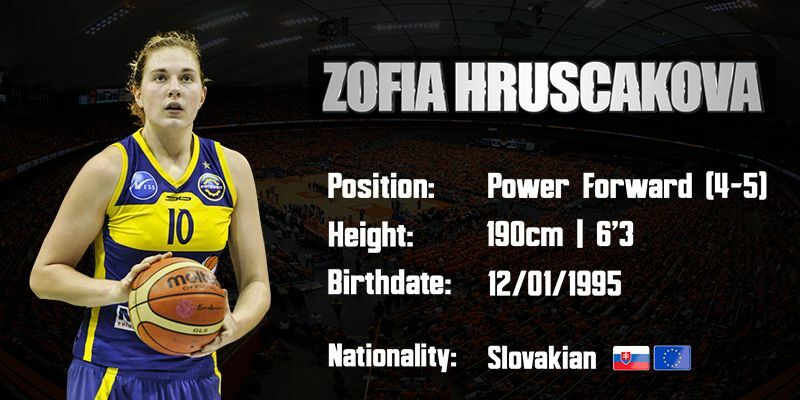 Zofia also reached the Euroleague Quarterfinals and averaged 4.7 points and 3.5 rebounds per game in the competition. Zofia Hruscakova is a 1.90m Slovakian power forward born in 1995 who was selected by the Phoenix Mercury with the 24th pick in the 2015 WNBA Draft. Zofia Hruscakova has a lot of Euroleague experience (averaged 9.7 points and 5.6 rebounds per game in the 2016/17 edition) and a great resume at club level. Also, Zofia was named in the U20 European Championship First Team in 2014. Zofia Hruscakova is a very competitive player and fierce fighter who has a great outside shot and also the power and speed to penetrate from outside and to score playing with her back to the basket. Zofia Hruscakova is one of the best young european post players and she has a bright basketball future ahead of her.